This blanket is so beautiful and interesting! 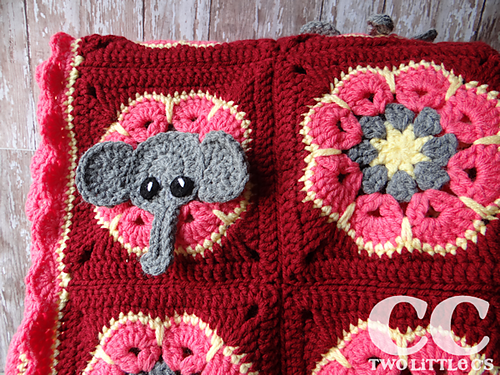 This blankie is easy to make and the elephants are adorable! The serious African Flower combined with the playfulness of the elephant squares using a sweet color scheme makes this pattern perfect for both adults and kids. 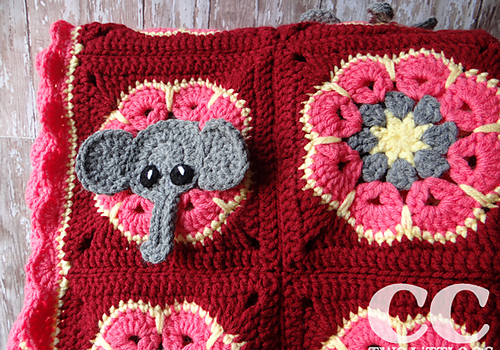 This Elephant Square by Chassity Oquendo is totally adorable! This square is worked half from my elephant applique and then a flower square is worked around it. This pattern is free and you may sell what you make from it, but please link back to where you have found it or my blog. Thanks to Chassity Oquendo for the article inspiration and featured image. And now I’ve got it!